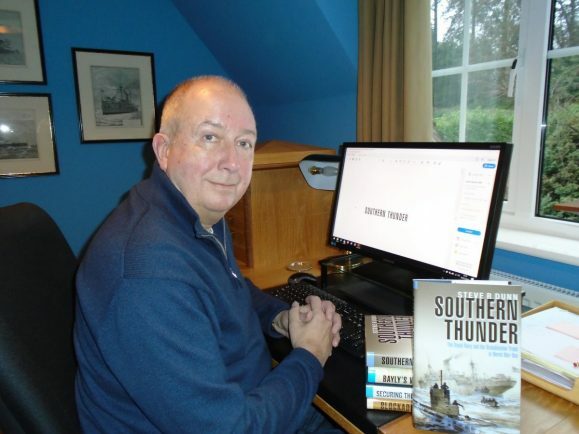 BARNT Green author Steve Dunn is hoping his new book Southern Thunder will keep the memory of the First World War alive, writes Ryan Smith. The book, which has just been published, tells the little-known story of the dangerous game played by the Scandinavian countries in the Great War, where they pitched the two sides against one another to protect their trade despite claiming neutrality. Last year’s centenary sparked a massive show of support and remembrance throughout the country to pay tribute to those who fought and died between 1914 and 1918. Mr Dunn, whose previous works have been shortlisted for the Mountbatten Maritime Award, said now the centenary had passed it would become even harder to make sure people did not forget about the war. Visit amazon.co.uk or book shops to buy Southern Thunder. 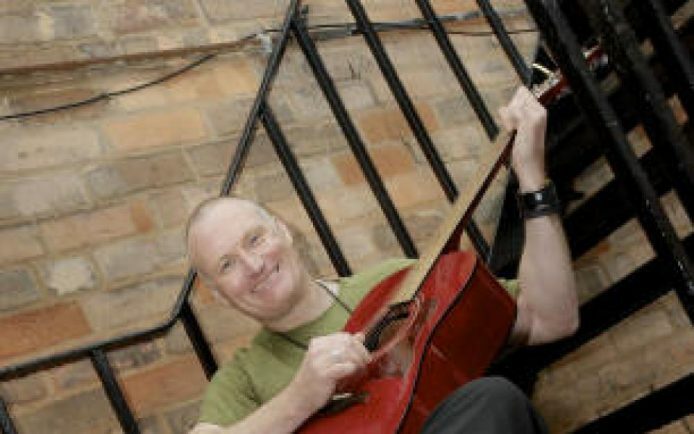 BIRMINGHAM singer-songwriter Robert Lane, who released his third album Only a Flight Away in the spring, will be performing in the studio at Bromsgrove’s Artrix at 8pm on Friday, October 12. Robert was chosen by the LG Arena to perform in the Forum Live area of the arena before concerts by Eric Clapton, Mark Knopfler, Ellie Goulding and John Mayer. He has also toured extensively in the UK as a support for artists including Jenn Bostic, Sarah Darling, Nell Bryden and Bob Fox. In June 2017 he completed a joint headline tour with Nashville based singer Kyshona Armstong. Since April 2016 he has embarked on five tours of Germany and in 2018 will visit Holland and Scandinavia for the first time. In July 2015 he once again performed at the newly re-branded Genting Arena before a concert by Fleetwood Mac. And in August 2013 he was selected to attend a song writing retreat/course with Kinks front man Ray Davies. Tickets for the Artrix gig are £10 in advance or £12 on the door. Visit artrix.co.uk or call 01527 577330 for tickets and more information. Go to www.robertlanemusic.co.uk for more on Robert Lane. BROMSGROVE’S ancient St John’s Church will now be able to be lit up at night, thanks to the installation of external lights. Local electrical contractors Woliters arrived this week, complete with a donated cherry picker from town firm GTAccess, to begin the project. Friends of St John chairman Jo Slade said: “We are hugely grateful to the team at GTAccess. The church building, tower and spire will all be lit up at night and the spire will have colour-changing lights fitted so they can be changed for specific events and celebrations. The Friends group is keen the church is used by community groups and it is hoped that the external lighting will raise the profile of the building and ensure the church is a focal point in the town at night as well as during the day. The installation work will continue through October and the Friends is organising the ‘Big Light Up’ switch on ceremony at 6pm on October 30. Everyone is welcome to go along and see the church light up. This project has been made possible thanks to the support and generosity of local people who have supported the Friends of St John’s as a Friend and by attending or supporting events such as the Bromsgrove Christmas Markets and The Snowman concerts. “The team is hugely grateful to everyone for their contributions,” added Jo. And we thought we would send along Standard photographer Marcus Mingins to capture the moment and see if he had a ‘head for heights’. Visit www.facebook.com/FriendsStJohnsBromsgrove and follow the Friends group to keep up-to-date with events. A COMMEMORATIVE Community Concert will be held at Artrix at 7.45pm on November 11 to remember the centenary of Armistice Day and raise funds for the Royal British Legion. Battle’s Over will include performances from the Vintage Class singers, Blackwell Concert Band, featuring Town Crier Kevin Ward and Catherine Tabberner, the Chadsgrove Choir and Fairfield. Leigh Blakeman from Vintage Class said had the idea last year and got in touch with Jules Evans from the legion. “We have wanted to do something big for the Royal British Legion for a while so I saw the opportunity to do a community commemoration event with a good mixture of performances and a ceremonial section too. The annual Remembrance Sunday parade and Armistice Day commemorations will take place in Bromsgrove earlier in the day and a beacon will be lit at St John’s Church in the evening. Tickets for the concert are £10 and are available from artrix.co.uk or by calling 01527 577330. BROMSGROVE High Street has missed out on being short-listed for the 2018 Great British High Street of the year but the district councillor responsible for the town centre says there is still plenty to be proud about. 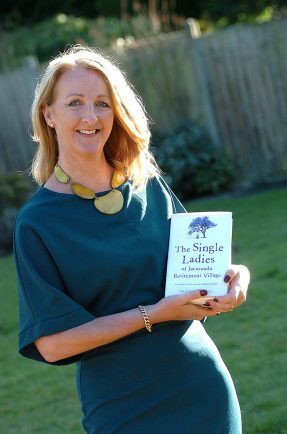 Coun Karen May, whose portfolio covers economic development, said: “I still believe it was a good idea to raise the profile of Bromsgrove so well done to everyone concerned. It was in June when the council’s centres manager Cheryl Walsh approached local businesses to gauge interest in entering the competition and most people thought it was a good idea. With the backing of MP Sajid Javid, who described Bromsgrove town centre as a place that ‘set the gold standard for other towns and cities’, the bid was launched, complete with a promotional video extolling the High Street’s virtues. It was mentioned Bromsgrove had recently attracted a new selection of independent traders who had chosen the town as the place for their businesses. But it was not meant to be this year as Bromsgrove High Street missed out on being one of the 38 shortlisted high streets from England, Scotland and Wales. Author and TV presenter Simon Reeve who is a judge for the Great British High Street Awards 2018, paid tribute to every town and city which entered. 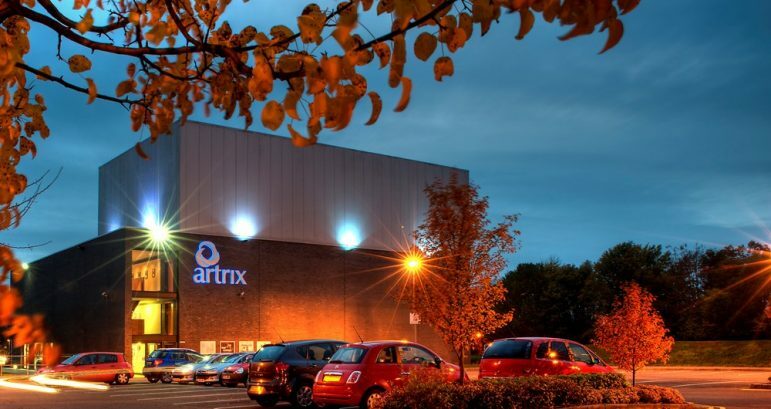 ARTRIX has removed its indoor soft play area because it did not comply with the British Standards guidelines. Bosses told The Standard the decision to remove the equipment because it failed to meet the BS EN 1176-10:2008 and BS 8409:2009 standards. In a statement they added: “Artrix aims to provide a welcoming foyer for customers and participants to socialise in, enjoy the cafe and use as a creative space, including our youngest of visitors and their families. “Unfortunately the indoor soft play area has been removed and we apologise for any inconvenience this may cause. The equipment, since it was installed two years ago, has been well-used and enjoyed by many families visiting the School Drive venue. “We are really pleased that so many young people enjoyed the soft play area and it is not our intention to disappoint anyone. “However, the inevitable wear and tear of the play equipment caused us to review the area and we must now act upon the advised changes for the safety of our young visitors,” added the statement. Alternative family-friendly activities in the foyer and bar area are now being considered by bosses who say thay are always looking for ways to improve and enhance Artrix for all ages. For any further information or to leave feedback for the team at Artrix about the foyer please email press [at] artrix [dot] co [dot] uk. HUNDREDS of people descended on Bromsgrove’s Sanders Park yesterday for the 50th birthday celebrations. There were a variety of activities and attractions taking place throughout the afternoon, including circus workshops, live entertainment, music from the past five decades, face-painting, inflatables and stalls from local community organisations. Bromsgrove District Council and the Bromsgrove Society joined forces for a special display of memories and photographs from the last half-a-century and there was a special ’50’ birthday cake. The cake was cut by Bromsgrove District Council chairman Coun Caroline Spencer who cut the cake with members of the Sanders family who first bequeathed the park to the town. She said: “It was so good to see everyone enjoying the excellent display of photographs and people’s memories of the park from the last 50 years, the entertainment and activities for all ages. 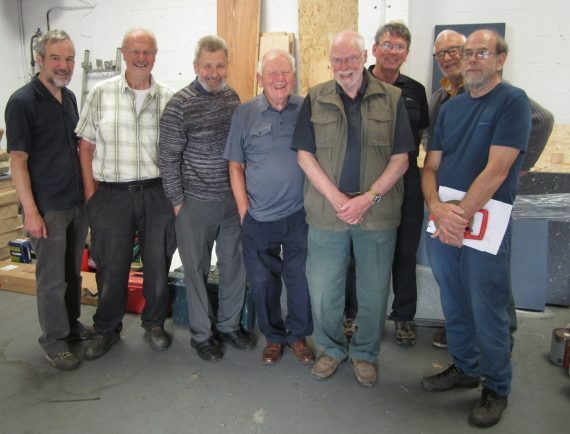 Christopher Cheney, a member of the Sanders family, spoke on the history of his ancestor’s and the memories he had as a child visiting members of his family in Bromsgrove. Members of the Keep Bromsgrove Beautiful and the town’s Friends of the Earth groups teamed up to highlight environmental issues and hold a litter pick in conjunction with the event. Members also offered recycling advice and held a competition for people to guess how many cigarette butts were collected in an hour at the park. Bromsgrove District Council parks officers were on hand to discuss proposals for outdoor fitness equipment being installed in the future and Worcestershire County Council representatives showcased the plans for new and improved pedestrian and cycle routes through the park. Worcestershire County Council chairman Coun Brandon Clayton said: “I think it’s absolutely fantastic – it’s a great day with a terrific turn-out. Coun Tony Miller added it was the sixth time they had held a showcase event for plans laid out for different parks in the county and he had been wowed by residents’ interest in the proposals.